Listed DK B- Coniah looks very close to black from what I saw in the brief clip of the post parade. Pretty girl. There's a filly, registered as black, in the Keeneland Sept Yearling Sale. tachyon wrote: I start with the Roses in May colt Dream Valentino!! The mutiple graded winner & mulitiple G1 placed has finished 2nd to Espoir City in the JBC Sprint (Jpn1) in his first test on the dirt on Nov 4, 2013. -- replay of JBC Sprint 1400m dirt at Kanazawa on Nov 4. Dream Valentino won the JBC Sprint (Jpn1) 1200m dirt at Morioka on Nov 3rd 2014. That must be very good news for him and Big Red Farm! Dream Valentino(JPN), 2007H. Roses in May(USA) x Cosmo Valenti(JPN) by Meiner Love(USA), has been retired from racing. 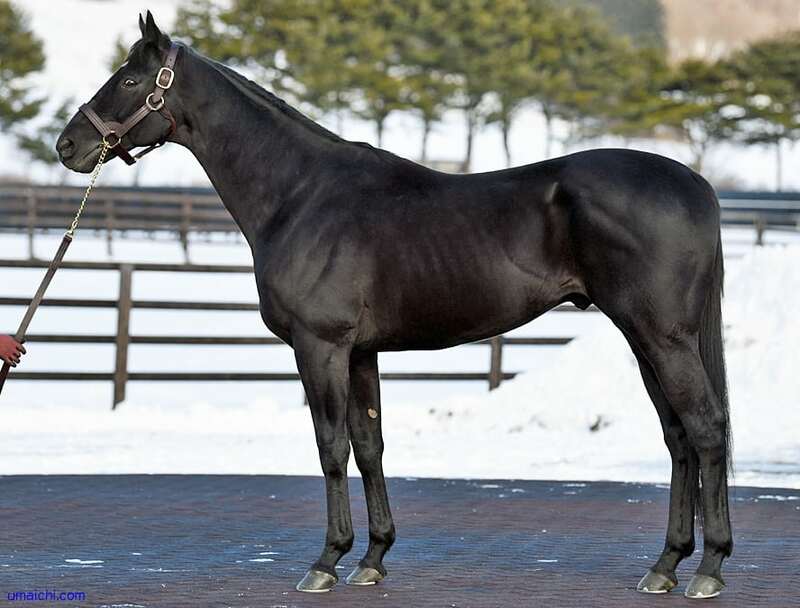 He will stand at Arrow Stud in Japan. Dream Valentino(JPN) has arrived at Arrow Stud on Jan 12th 2018. He is a handsome animal. I hope he is well supported by breeders. In regards to "X isn't a true black because they have a little brown shine" and so on: is sun bleaching not a thing anymore? And don't black horses experience (or can experience) fading over time? Roses in May, Halo, Sanctuary and Matricule here just look "true black" to me. And Matricule looks a little older in the photo and spent most of his life standing out west, with lots of sunshine (he's deceased now). Blue Coral, a half-brother to Red Rocks, is registered black/brown. He stands in the Czech Republic. Wow that is one gorgeous hunk of horse flesh! Martinborough, a son of Deep Impact, stands at Haras de Grandchamp in France. He's registered black/brown. Susie's Diamond is available for adoption at New Vocations. She's a registered black daughter of Sha Naa (a half brother to Red Giant) o/o the Dayjur mare Diamond Dayjur. The dam is registered black/brown. Rymska won the Hillsborough S (G2) at TBD today. Here's GSP Albaasil (Dansili x Wrong Key), who is registered black and stands privately at his owner's farm. 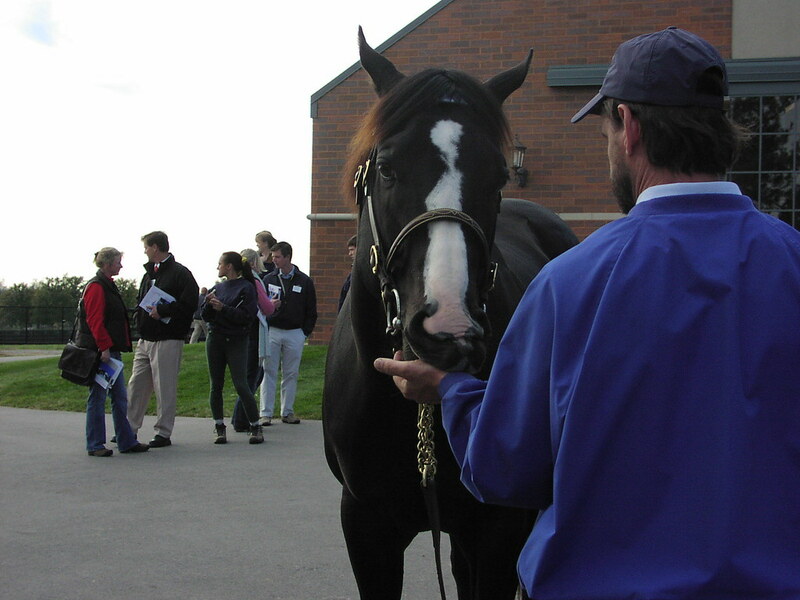 His damsire, Key of Luck, looks black but is registered dkb/br. 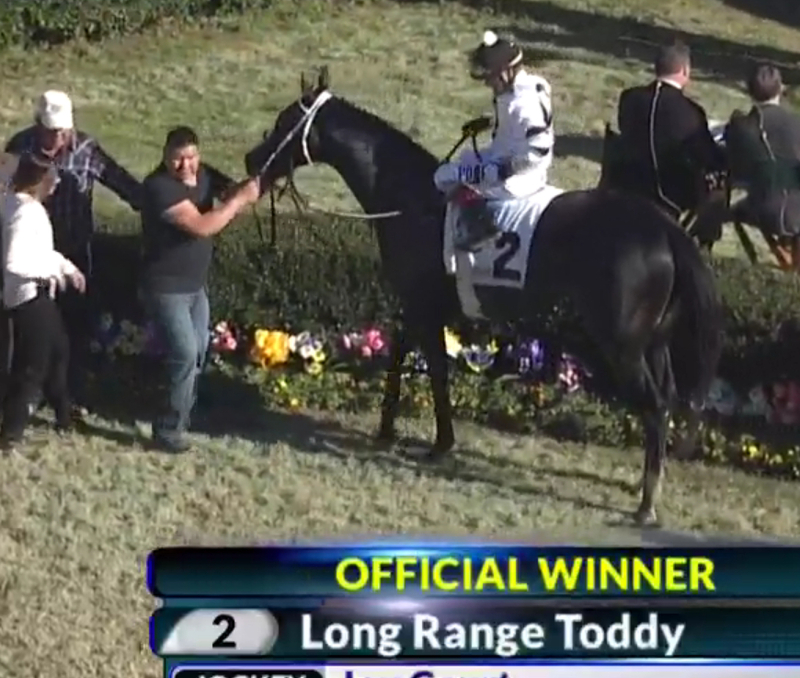 Long shot Long Range Toddy took down Improbable in the Rebel Part 1, and he's a registered black. I love him! He reminds me of Songster.